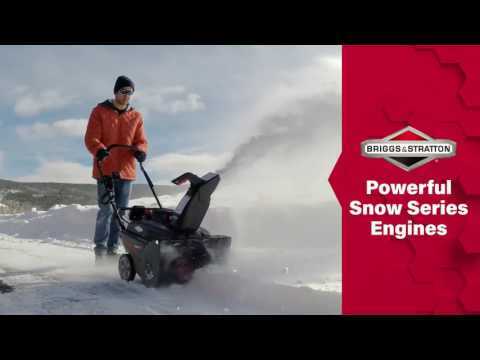 The Snow Series™ engine was designed to deliver optimum power in extreme winter conditions to help you tackle the snowfall quickly and easily. Plus, it includes oversized controls for mitten-friendly operation. Easily change the chute direction from left-to-right with the chute mounted rotation handle.